at Vitaurina Royal Hotel in Mühlen near Sand in Taufers! Be part of our love story and visit us at Vitaurina Royal Hotel in the picturesque Ahrntal Valley. 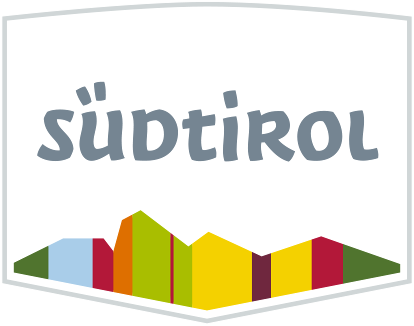 Our house – the perfect combination of South Tyrolean heartiness and Italian joie de vivre, such as we are! The Hotel Royal becomes the Vitaurina – an homage to the beautiful life, “la Dolce Vita” and the green Ahrntal Valley “Valle Aurina”, to the life in harmony with nature, to the South Tyrolean/ Sardinian character reflecting itself in all parts of the house. In July 2019, the Vitaurina will await you with many news! Passion for our work, our guests, for the small details, for Alpine-Mediterranean cuisine, for nice wine, regionality, profundity, for delight, music, nature, joy of life and honesty. That’s what Vitaurina Royal and its owners stand for. The parents Rosa and Bruno committed themselves to built this business and we, Karin and Klaus, are operating it with our hearts and souls, like they used to. A touch of Sardinia – in the midst of mountains! Something you will only find here, in Mühlen in Taufers. Mountains and the sea – the scent of mirto and espresso after a meal will bring you the Italian flair closer. Aside of activity holidays in South Tyrol you may treat yourself also to some dolce far niente all’italiana and try out Alpine wellness in our relaxation area. Enjoy nice Italian wines and celebrate like a real South Tyrolean. Hearty, authentic, sincere. The perfect premise for an Alpine-Mediterranean holiday in the Ahrntal Valley in charming South Tyrol. Our unique love story is set amongst green pastures and impressive mountains. A taut South Tyrolean guy falls for the Italian beauty. Will he conquer her heart? Do they fit together? Aren’t they too different? We will see, if a holiday flirt can become true amore! You will get to know more in January 2019! Not only the host and the whole Vitaurina Royal staff will give you a heart-warming welcome: the traditional yet modern premises, fitted with warm wood and further high-quality natural materials make for a homely, intimate atmosphere. Here, you will feel more than just fine – you will feel at home. Treat yourself to a substantial breakfast in the all-new dining room, a refreshing aperitivo: Aperol spritz or a native Hugo – bubbly prosecco with elder syrup – in our light-flooded winter sun parlour or at our hotel bar, maybe with some crispy patatine crisps to quicken the appetite? After dinner in our rustic-modern dining rooms with musical accompaniment you should allow yourself a nightcap – a typical Tyrolean schnaps, a grappa or a Sardinian mirto on our cosy terrace. While doing so, the beautiful mountain views of the Zillertaler Alps and the Rieserferner-Ahrn Nature Park of the charming Ahrntal Valley will never leave your side, such as the genuine hospitality of the Vitaurina Royal staff! Like our sweethearts, so do the culinary delicacies at Vitaurina Royale perfectly chime together. Our kitchen team combine the best ingredients from north and south and composes unique dishes for our guests. Prepared with lots of love and great ability – go ahead and make a culinary pleasure journey. Discover the marvellous flavours of sea and mountains in combination. A definitely successful interplay. That’s how your culinary gourmet holiday in South Tyrol should be like! Cuddled up all comfortably in fluffy covers you may dream of the next day in the Ahrntal Valley mountain paradise. Surrounded by the warmth of wood and Tyrolean felt, a slight breeze comes from the windows and moves the light Mediterranean curtains. Looking on the outside, you can see the mountains, but still, Sardinia seems to be within your grasp! Gentle colours and loving details of the new, spacious suites and modernised wellbeing-rooms make for an extremely cosy atmosphere, designed to let you come to rest after an adventurous day in the fresh air. Let this truly special accommodation near Sand in Taufers enchant you! The history of Vitaurina Royal begins in 1969, when Bruno and Rosa Budroni opened their guesthouse “Villa Budrony” with just four rooms. Budroni is Sardinian and means grapevine; this “grapevine” grew with great effort and a lot of love for their work. As time went by, more and more guests came to spend their holiday at Villa Budrony and also the guesthouse itself grew constantly. In 1976 it was expanded by 20 new hotel rooms and changed its name in 3*** Hotel Panoramic Speikboden. In 1991, the hotel was further enlarged and got another 10 rooms, becoming the Hotel Royal. In July 2019 we are going to inaugurate the reconstructed Vitaurina Royal Hotel *** Superior, being lead now by the second generation of the Budroni family – daughter Karin and her husband Klaus – for already 12 years. With a lot of passion and commitment of the Budroni-Mair family at the Tinkhof and Budroni Plaikner family, an authentic and traditional family business has evolved which successfully managed to combine the two Italian regions Sardinia and South Tyrol. The history of the Vitaurina Royal Hotel – a love story with happy end. The template for our romance – the love story of the parents, Bruno and Rosa. The Vitaurina Royal Hotel in Mühlen in Taufers is situated at the exit of the Mühlwalder Tal Valley in the Tauferer Ahrntal Valley in South Tyrol, at the foot of the Rieserferner-Ahrn Nature Park. Between lush meadows, surrounded by striking summits, right next to the gently purling Ahr river, the peaceful water village Mühlen enchants its visitors by its simplicity and dreaminess. The village took its name from the many corn mills – Mühlen –, which shaped the landscape in the past. A small idyll, waiting for you to be discovered! Enjoy the mountain panorama of 84 three-thousanders and the Alpine-Mediterranean atmosphere all around the year at the Vitaurina Royal Hotel. The terrific natural landscape invites you to spend your days outside – with fresh air, sunshine, the quiet of the mountains and the woods – both in summer and winter. Climbing or rushing down summits – the choice is yours! Famous ski and hiking resorts such as Speikboden, Klausberg and Kronplatz are within your grasp and make your summer and winter holiday dreams in the Ahrntal Valley come true! The perfect place to start your dream vacation: the Vitaurina Royal Hotel in Mühlen in Taufers! The sincere kindness and care of your hosts and their staff will give you the feeling of being more than just welcome, but very well received. A holiday in the Ahrntal Valley + Vitaurina Royal ... That’s amore!! !